Planes in the fleet of private aircraft owned by Mayor Bloomberg’s financial information company flew to Bermuda 16 times last year and 54 times total from 2007 to 2010. The Wall Street Journal examined the flight records of aircraft owned by Bloomberg LP, which are used by the mayor, his friends and family, and executives with the company. The billionaire mayor has fiercely guarded his privacy since taking office in 2002, refusing to say when he leaves town. Federal Aviation Administration records do not show passenger information, so it is impossible to know which times Bloomberg himself was on the planes. He ducked a question Monday about whether he was in Bermuda last December as a blizzard whirled toward the city. His administration was later criticized for its poor response to the storm. "I didn't say whether I was or wasn't," Bloomberg said. "Because the mayor has to be able to have a private life and not disclose where he is." The Journal compared Bloomberg’s public schedule with flight records and said he was likely not on board for the majority of the flights dating back to 2007. The Journal said the largest single user of general aviation takeoff and landing slots at La Guardia has been the Bloomberg fleet. The administration declined to comment to the Journal on any conflict between Bloomberg’s stance on airport congestion and the number of flights taken by his planes. The issue of Bloomberg’s out-of-town travels was recently reignited because the third-term mayor has refused to disclose his whereabouts just before the late-December storm. He appeared at an emergency operations news conference mid-afternoon on Dec. 26, hours after heavy snow had begun. The Journal said records show that a jet operated by Bloomberg Services left La Guardia for Bermuda, where the mayor has a home, at 9:02 a.m. on Christmas and returned the following day at 2:49 p.m. 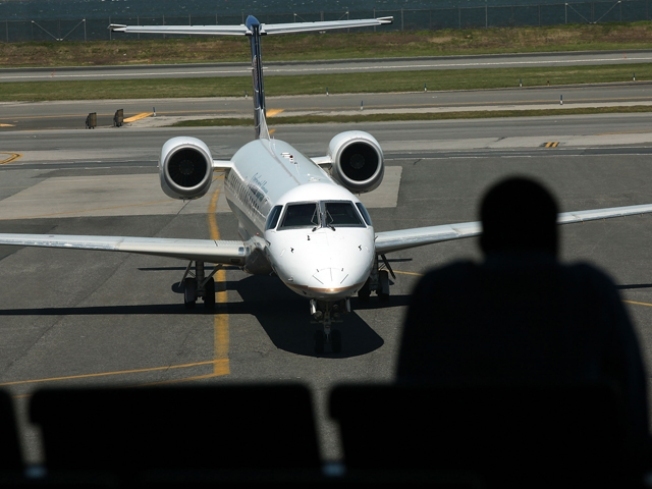 It was the last private plane to land at La Guardia that day. According to the Journal, Bloomberg Services LLC operates at least four aircraft, and ended the lease on a fifth last June. City Councilman Peter Vallone Jr. has suggested legislation that would require the mayor to notify the city clerk when he leaves town.